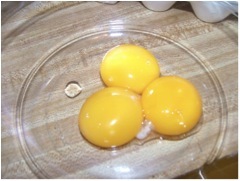 How many times have you made a recipe that calls for eggs to be separated? Key lime pie uses yolks, soufflés use whites, some recipes even go so far as to call for one amount of yolks and another of whites. I used to hate having to separate eggs and throw away the part I didn’t need. Then, someone shared one of the greatest tip with me: You can freeze them. So simple, yet so brilliant. I usually end up with extra egg white. I put one egg white per bag, using those little snack-size zip bags. Then, I place those bags in a freezer bag. I just keep adding to that freezer bag as I have extras. This really comes in handy for me. 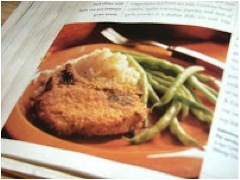 For instance, I make an “oven fried” pork chop that requires an egg white. I stick one of these little bags in a cup of warm water and it defrosts in just a couple minutes. 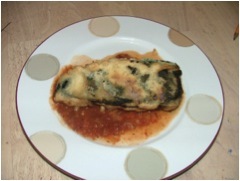 After years of searching, I have finally found the perfect recipe for one of my favorite foods…Chile Relleno. The perfect recipe calls for 5 egg whites. With my newfound s I have them right on hand and don’t have to crack eggs! Elizabeth writes Gastronomy (by a Wanna-be Chef). You can also find her on Facebook. Eat, Drink and be Merry! This entry was posted in Advice, Cooking, Elizabeth Webber Akre, Food and tagged Columbia, columbia sc, cooking, Cooking tips, elizabeth akre, Elizabeth Webber Akre, every woman blog, Famously Hot, Gastronomy (by a Wanna-be Chef), hospital blog, Lexington, lexington medical center., lexington sc, Lexington Women, lmc, LMC every woman blogger, Midlands, Midlands Women, South Carolina, South Carolina Women, Women, women's blog, women's hospital blog by Kate Gillmer. Bookmark the permalink.